This journey ride takes us back to ancient Egypt in biblical times. We’ll escape from Egypt, inspired by the Passover story. It’s based on biblical history but may not be historically accurate. During this ride, we’ll build a pyramid in Egypt; ride away from the havoc, chaos, and disasters caused by the 10 plagues; and then cross the Red Sea as it parts, all while being chased by Egyptians. This ride is not intended to be religious; the story has been told in movies and Broadway plays. However, as with any ride, it’s important to be sensitive to your riders. This profile definitely works well in a Jewish Community Center but it may not be appropriate in all facilities. This is an interval ride. Because the Israelites suffered for many years as slaves in Egypt, these intervals will involve a bit of suffering as we ride near threshold for long periods of time. The notes in the profile suggest cueing, but instructors can use their own originality for the narration to drive the profile. Imagery and videos enhance the story but aren’t required if your facility doesn’t have the capability of projecting them. We’ve included a PowerPoint to help illustrate the story, should you have the ability to project images. We also recently learned of the song “All You Zombies,” which despite the title has an escape-from-Egypt theme to it. Feel free to make this profile your own by swapping out songs. 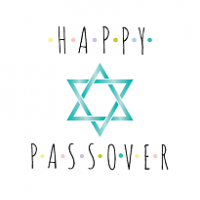 I love the premise AND the inclusion of a PowerPoint – can’t wait for Passover! Elan – I’m glad that you like it and I’m sure that your class will enjoy it when you do the ride with them. I’m looking forward to Passover to do this ride but not looking forward to eating all of that matzoh.